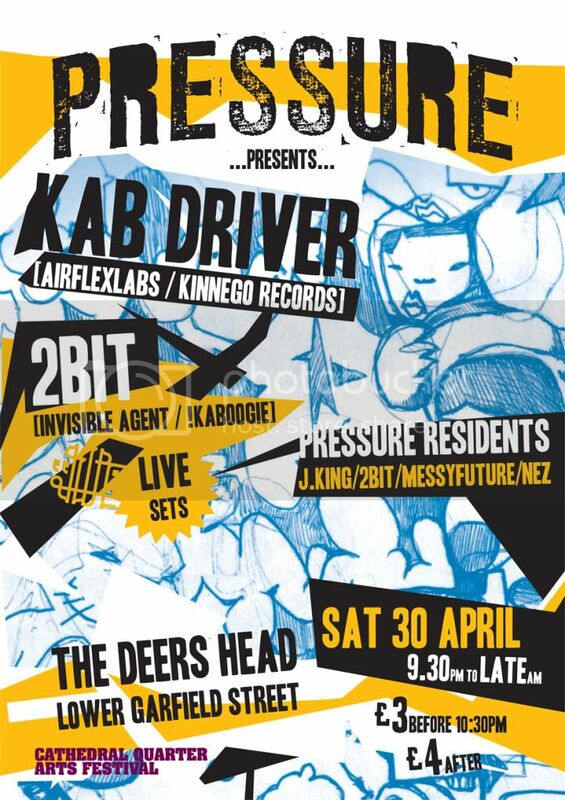 After the storming gig that was the All City Records crew, Pressure are back with 2 exclusive livesets for the Cathedral Quarter Arts Festival. Kab Driver AKA Dre Krabski is a Serbian robot from the 40’s who makes dance music. His creator died in the US in 72 during a science convention and Dre managed to escape and hide under the supervision of the funk band Phunkatropics. He has played uncredited due to his robotic nature, on numerous funk, R&B and pop records, throughout the 70’s, 80’s and 90’s but has now settled in the UK where he produces electronic music in the privacy of his own lab. Some killer releases on Acroplane (as Filaria), Airflex Labs and some HOTNESS in a collab with Boxcutter on Planet Mu.